John Knoebel was a high-profile member of New York City’s pioneering Gay Liberation Front (1969-1972). Just two days before the first Gay Pride March in June of 1970, he was seriously injured in a gay-bashing incident but nonetheless took part in that march with fourteen stitches in his forehead. As a member of the GLF 95th Street Men’s Living Collective, he was a proponent of consciousness-raising groups for gay men and co-authored two foundational guides to C-R. He participated in many major GLF demonstrations, including the week-long protest occupation of New York University’s’s Weinstein Hall, the August 1970 Times Square protest and the subsequent second Greenwich Village gay riot. In keeping with GLF’s active support for other radical movements of that time, John joined many other gay activists in attending both sessions of the Black Panther’s “Revolutionary People’s Constitutional Convention” in Philadelphia and Washington, D.C.—meetings that also served to be the first national conferences of radical gay male activists. After the demise of GLF, John joined other former GLF men in helping define a politics of gay men in support of feminism. He co-authored the widely-reprinted, “Effeminist Manifesto” and was an editor of the Effeminist magazine, Double-F, from 1972 to 1976. From 1978 onwards, John pursued a career in gay publishing in California and New York. He served as a senior executive of The Advocate and OUT magazines for over 33 years where he started several magazines and headed up all marketing and circulation activities through six ownership changes. 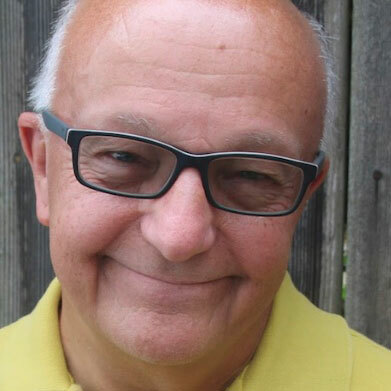 After retiring from The Advocate, he joined with former GLF member, Steven Dansky, in creating the LGBTQ oral history site: www.outspoken-lgbtq.org. and co-edited the book, The Come Out! Reader. Book your cabin with the promo code JOHN2019 and receive a $100 per person cabin discount for you!